If you are worried that your Blu-Ray discs could be damaged and you might lose the precious movies or concert discs one day, you’d better make backups of your collection. Moreover, creating the backups is also very helpful when you want to play the content on other devices. For instance, my MacBook Pro doesn’t have a disc drive but I could rip those Blu-Ray Discs to MKV files and play it on my MacBook anytime. If you are looking for some solutions on the Internet, you might end up paying for some costly softwares. This post will show you an easy, effective and free way to create the Blu-Ray backup. It will work on almost all major platforms like Windows, Mac OS X, and Linux. 1. Download MakeMKV software here: This is a great ripper for free while it is still in beta. It is a simple software and will get the job done, you don’t need to pay more than 60 euro for softwares like AnyDVD HD. 2. Start The Backup Process: After inserting the disc to your computer, the software will break copyright protection on your Blu-ray disc and then perform an initial rip to create video files on your computer. Just follow on-screen instructions to start the process. Basically, you will just need to click “Open Disc” button, the program will analyze and give you a list of chapters with some output settings, you can select DTS-HD MA track for higher-quality lossless audio. After everything is ready, just click “Make MKV” to start ripping. The video below will show you more details. The process took me around 40 minutes, it can be slower or faster depending on your machine. After that, I have a perfect backup of my disc, the files have almost the same size as the original disc. In my case, the files takes around 35GB of hard drive. 3. Transcode MKV Files: The files created in the previous step are actually ready to play, however, they are too big and it is really a burden if you have a big collection of Blu-Ray movies. 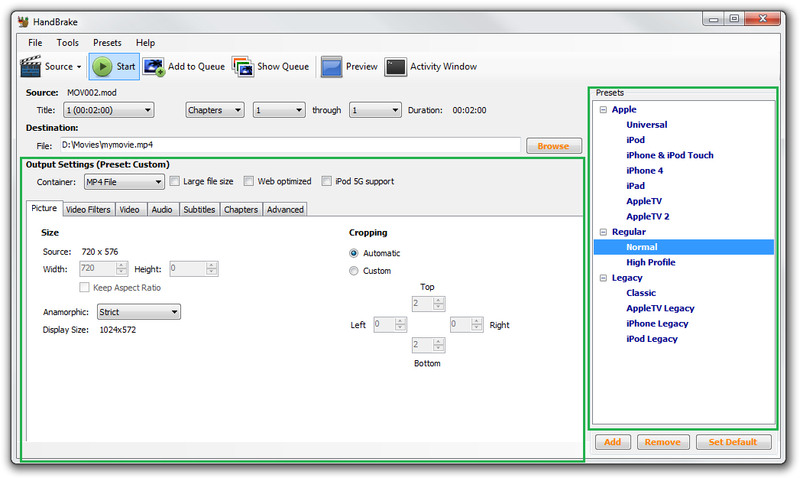 By using the Handbrake program, you will be able to decrease the file size to just around 4-8GB and still keep a great visual quality. There are a lot of settings but you can choose among presets to make it easier, I often go with the High Profile preset. All done, let me know if you have any issue ripping your Blu-rays.